Some Petzl Gri Gri 2s are potentially faulty, read here for more details. Petzl has discovered that exerting excessive force on the fully extended handle of the GRIGRI 2 can cause internal damage, such that the GRIGRI 2 handle may become stuck in the open position. When the handle is stuck in this position the assisted braking function is disabled. A damaged GRIGRI 2 in this configuration will function similarly to a manual belay device (e.g. tube style device). When using a damaged GRIGRI 2 with the handle stuck in the position as shown in Figure 1, failure to control the braking side of the rope will increase the risk of an uncontrolled descent. A GRIGRI 2 with a damaged handle must be immediately retired from service. As of June 20, 2011, seven damaged products have been returned to Petzl through our worldwide distribution network. Petzl has no knowledge of any accidents resulting from a damaged GRIGRI 2 handle. increase the mechanical strength of the handle on all GRIGRI 2’s since serial number 11137.
recall all GRIGRI 2’s with the first five digits of the serial number between 10326 and 11136, and replace with a new revised GRIGRI 2. If you possess a GRIGRI 2 (D14 2O, D14 2G, D14 2B) with the first five digits of the serial number between 10326 and 11136 thanks to contact by email your local Petzl distributor (see below) with your complete postal address in order to initiate an exchange. How do you tell the difference between a GRIGRI and a GRIGRI 2? 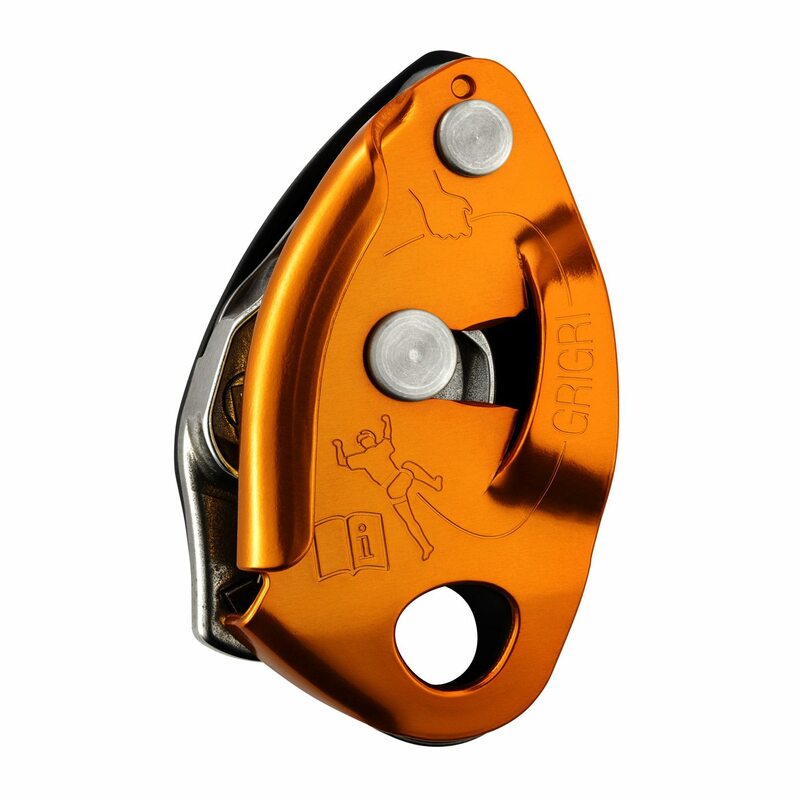 The GRIGRI² has been available on the market since January 2011. If you purchased your device before 1st January 2011, then it isn’t a GRIGRI² and so is not affected by this recall for exchange. If you purchased your device after the 1st of January 2011, then compare it with the images published in our announcements for this recall for exchange. How can I tell if a GRIGRI 2 is included in this recall for exchange? GRIGRI²s with serial numbers from 10326 to 11136 are included in this exchange. Where do you find the serial number of the GRIGRI 2? The serial number is laser engraved on the body of the product underneath and protected by the folded handle. What should I do with my GRIGRI 2 when it is included in the recall for exchange? Contact your national distributor by email, providing your postal address in order to begin the exchange process. How can I tell the difference between a GRIGRI 2 with a reinforced handle and a GRIGRI 2 concerned by the recall for exchange? A GRIGRI² with a reinforced handle is only recognisable by a serial number after 11136. How do I know whether a new GRIGRI 2 for sale in a shop has the reinforced handle? The first five numbers of the serial number are after 11136. To help our retailers in replacing their stocks, we have temporarily added a green sticker to the product. Will I receive the same colour GRIGRI 2 ? Can I replace my GRIGRI 2 with a GRIGRI? Where is the GRIGRI 2 manufactured? In France, in Petzl’s production unit in Crolles (Isère region). Where have these GRIGRI 2 been sold? What is the guarantee of a Petzl product? A Petzl product is covered by a 3-year guarantee against all material or manufacturing defect. Exclusions: normal wear and tear, oxidation, modifications or alterations, incorrect storage, poor maintenance, negligence, uses for which this product is not designed. What is the lifetime of a Petzl product? Lifetime / When to retire your equipment for Petzl’s plastic and textile products, the maximum lifetime is 10 years from the date of manufacture. It is indefinite for metallic products.– ATTENTION: an exceptional event can lead you to retire a product after only one use, depending on the type and intensity of usage and the environment of usage (harsh environments, marine environment, sharp edges, extreme temperatures, chemical products, etc.). It is over 10 years old and made of plastic or textiles. It has been subjected to a major fall (or load). It fails to pass inspection. You have any doubt as to its reliability. You do not know its full usage history. or incompatibility with other equipment, etc.